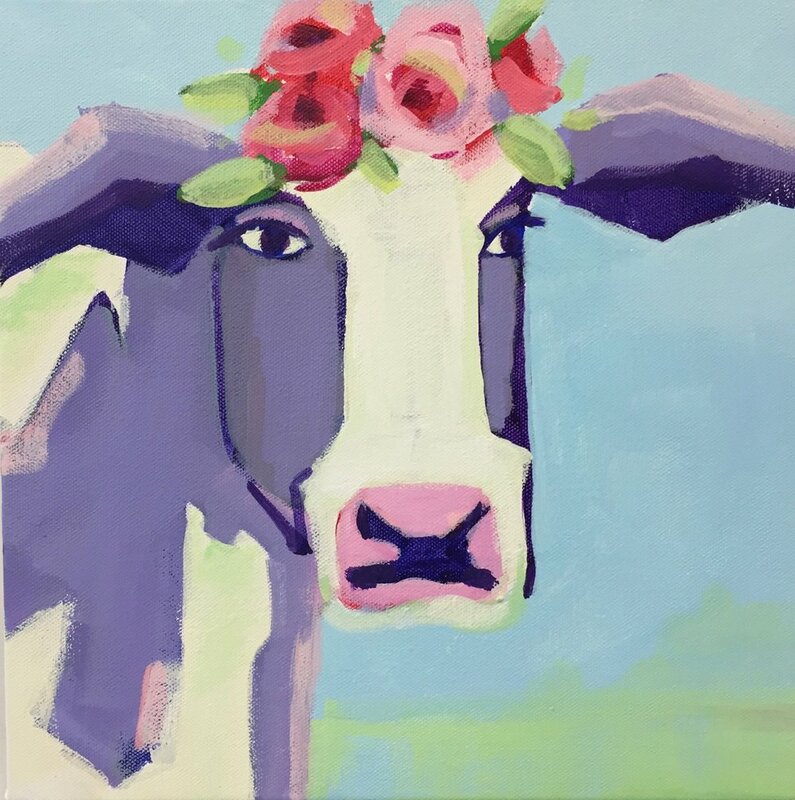 You’ve always wanted a cow painting, right? Here she is! Isn’t she a beauty? Paint “Groovy Grayton Cow” with me. We will draw her together and paint each layer step by step. I supply everything you need: a 12” x 12” heavy duty, pre-wired, gallery wrapped canvas and professional GOLDEN acrylic paints all in the serene environment of my studio on 30a. No experience necessary.